A new project to ensure availability of iron-rich beans, and Orange Fleshed Sweet Potatoes (OFSP) as well as add value to the latter to improve nutrition in Africa’s 12 countries, has been launched. OFSP have beta carotene which is an antioxidant that converts to vitamin A and plays a very important role in health. It’s responsible for the red, yellow, and orange coloration of some fruits and veggies. The launch of the initiative took place in Kigali on August 14, 2018. 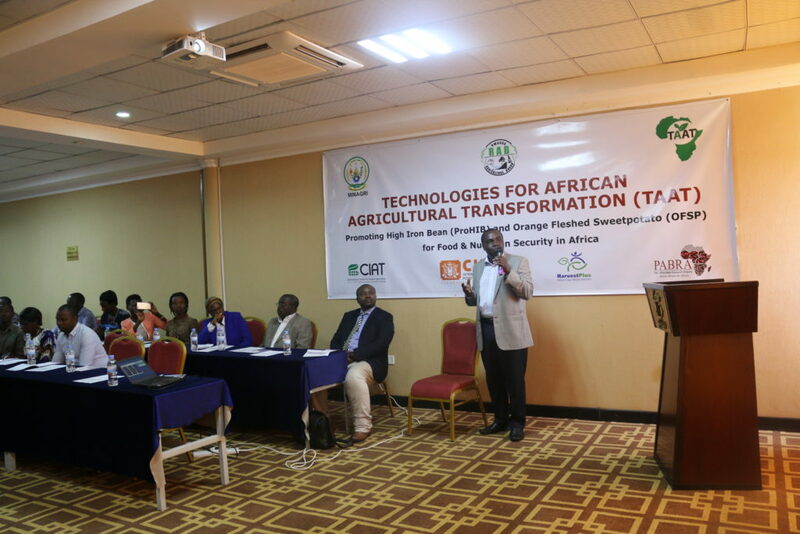 The three-year project that will be implemented from 2018 is dubbed “Technologies for African Agricultural Transformation (TAA)” and will be focusing two crops including High Iron Beans, orange fleshed sweet potatoes among others. 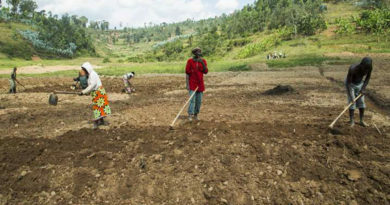 The project is under the African Development Bank initiative and was launched by The International Potato Center (CIP) in partnership with Rwanda Agriculture Board (RAB). It will be implemented in 12 African countries including DR Congo, Rwanda, Tanzania, Kenya, Uganda, Mozambique, Malawi, Madagascar, Zambia, Benin, Ivory-Coast and Mali. 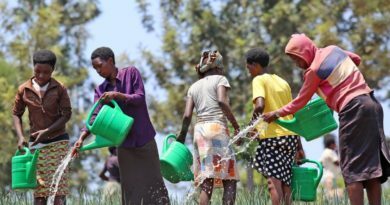 In Rwanda, about 100,000 people from 20,000 households are expected to benefit from the project after two years of its implementation. An estimated 800,000 tonnes of iron-biofortified beans will be added to the beneficiary countries’ yield. Augustin Musoni, Director of Research in the beans department at RAB said that the project will contribute to research development on certain crops and will be useful to upscale these crop varieties in the countries where it will be implemented. The seeds of these crops will be disseminated to all Rwandan farmers gradually as Musoni explained. “High Iron Beans and Orange Sweet potatoes have both an importance on Rwandans’ good nutrition as they contain of Vitamin A which is needed by our kids and you know that anemia is an issue,” said Musoni. Daniel Mbogo, Technology Transfer Officer at CIP said that the project’s three-year programme expects to support at least five processors and link 20,000 farmers with markets. “We will support seed system and vine multipliers to ensure they are distributed to farmers to tackle food insecurity. We will also help small businesses to do value addition like those who process chips, hoteliers and restaurants and small bakeries in terms of equipment. We will also support market linkages,” Mbogo noted. Four pillars will be respected while implementing the project, namely creation of an enabling environment for the technologies to be deployed, setting different infrastructure and building partnerships for the technologies to be delivered, deployment of the technologies, and their dissemination to small holder farmers, according the project managers. Serge Ganza, managing director of Africa Food Supplier limited in Kamonyi District, Southern Province of Rwanda, who also doubles as a sweet potato farmer since 2008, said that he started adding value to this crop whereby he is engaged in selling fleshed and processed sweet potatoes. Ganza expressed hope that the project will increase the availability of the vines on markets to help farmers move from lower to higher level of production. 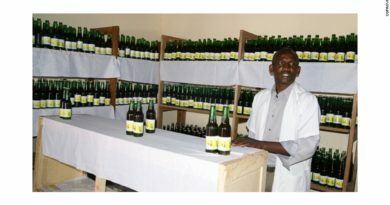 “If for example I had ten cooperatives who supply me with [Sweet potato raw materials to process] I can increase to 100. Sweet potatoes need to be among other priority crops,” Ganza said. 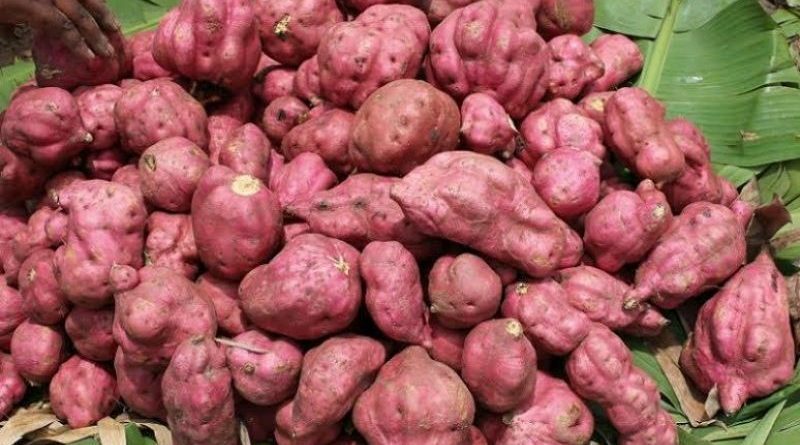 He added that they wish that the project provides different effective ways to store and add value to Sweet potatoes to avoid post-harvest losses. “There is currently a technology to store sweet potatoes to three months. It would be crucial in this project to think on further ways to store them and of course mobilize people to eat them,” Ganza added.